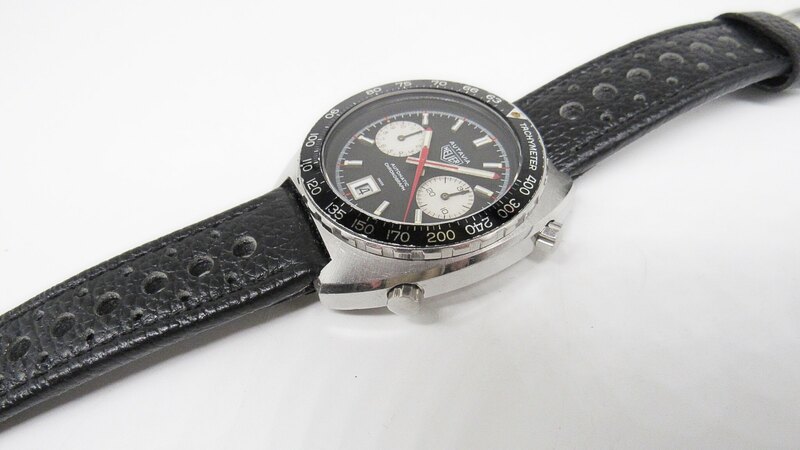 For your consideration 1972 Autavia on a Corfam like black leather Rally strap with the B Swiss Acier Inox buckle. 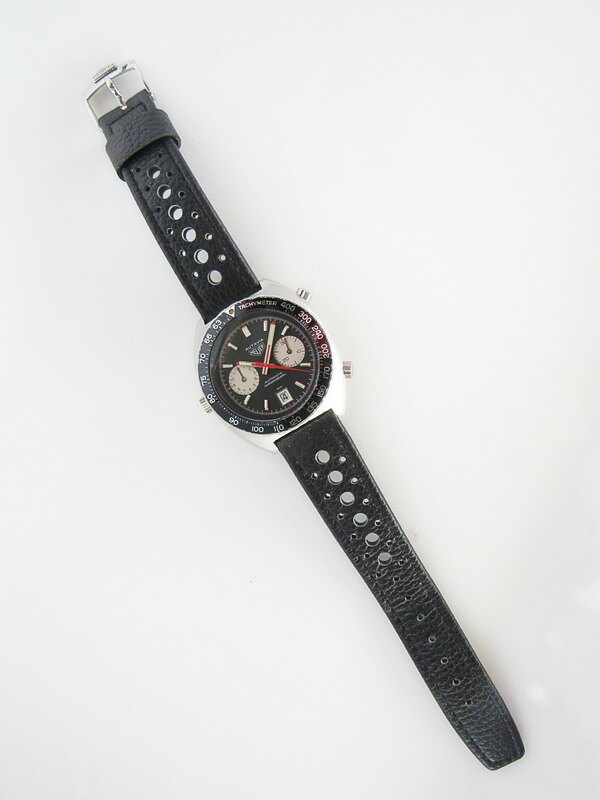 Movement is working accurately and the Chronograph Sec., Min., & Hr. counter hands are all resetting. Service history is unknown but shows many (7) service marks on the inside back cover. 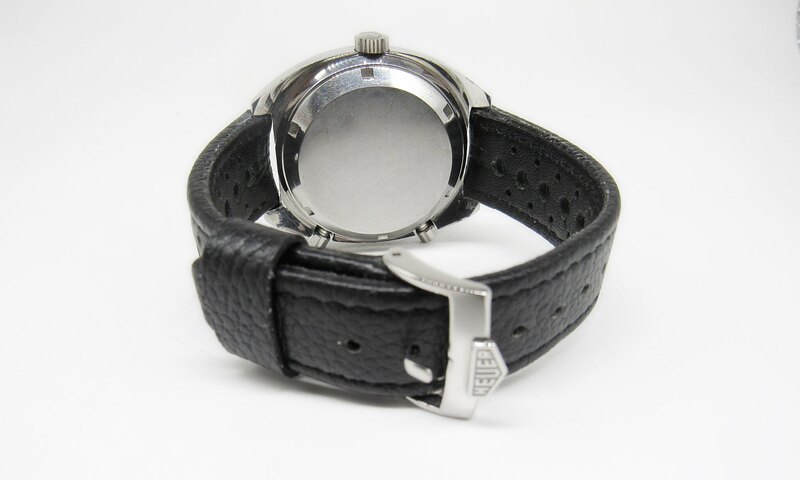 Case & bezel show the usual years of wear, but nothing major. The crystal is replaced. If not as described I accept a three day return. Asking $ 3'600 including domestic shipping out of SoCal. For questions or other requests just ask.